This clash of advertising cultures has become so profound that those on either side no longer seem to be talking the same language. In the red corner are those who argue that the era of mass communication is dead, and that highly targeted, in-themoment interventions to fragmented ‘segments of one’ will determine what people buy and why. In the blue corner, we have the defenders of scale, reminding us that broadcast media packs a bigger punch, that brands need to reach new buyers and that costly signalling makes them more desirable in a market driven as much by emotion as logic. The problem is, we are asking our clients to referee – and that’s an exhausting distraction from the ‘day job’ of solving business problems. Marketers know that the right answer is both: both shared experiences and precision, brand-building and demand fulfilment. They are looking to us – and others – for guidance on how to do both together, and do them well. 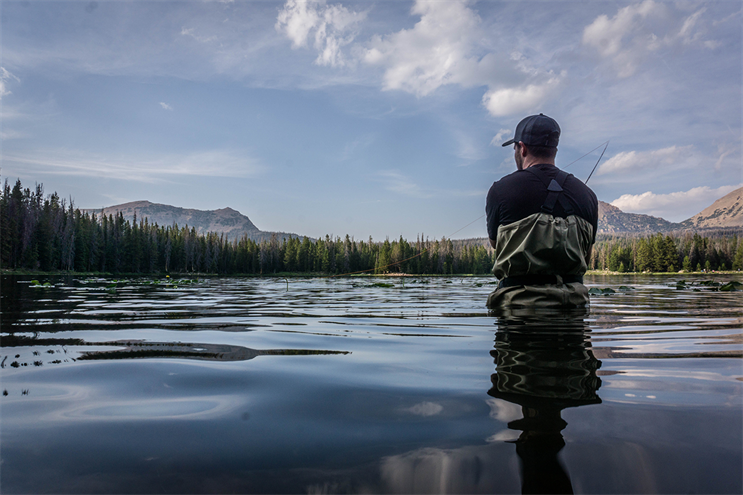 Marketing is more than a bit like fishing. Sometimes you fish with a net: there is value in catching lots of potential buyers all at once, even if some aren’t ready yet and need to be thrown back for another day. Sometimes, you fish with a spear: you go after individuals because they’re easy to spot and disproportionately appealing. And sometimes, you fish with dynamite: you throw something new into the water and blow everything up. Our agency, Wavemaker, is only 10 months old, born in one of the most disruptive periods our industry has seen for decades. When we put the words "media, content and technology" outside our door, it was out of a sense of shared frustration with the "two tribes" thinking that leads to clients having to act as peacemakers and interpreters between their partners. We’re building a large agency of specialists in different client verticals and marketing disciplines, none of whom claim a monopoly on the right answer. We’ve now organised those specialists into three large disciplines: Wavemaker Media creates shared experiences for brands (fishing with a net); Wavemaker Content makes ideas and partnerships that shift brand perceptions (fishing with dynamite); and Wavemaker Precision brings all our digital marketing, ecommerce, analytics and technology experts into one team to deliver targeted relevance (fishing with a spear). Our insight, effectiveness, strategy and client-delivery teams operate across all three (fishing where the fish are). We’ve done this to simplify our offer to clients, and help them accelerate their own transformation by giving easier access to the right expertise, configured in the right way. Clients’ most urgent need is in precision marketing, as the fusion of digital media, search, ecommerce, CRM and tech is now known. Most businesses have digital transformation as a C-suite priority, and this means taking control of their data and technology investments, reorganising the marketing, sales and commerce functions around customer intelligence, and integrating media with digital user experience. Most agencies talk a good game with precision marketing but few deliver it in practice, and this includes many of the specialist performance agencies that make the most noise in this space.